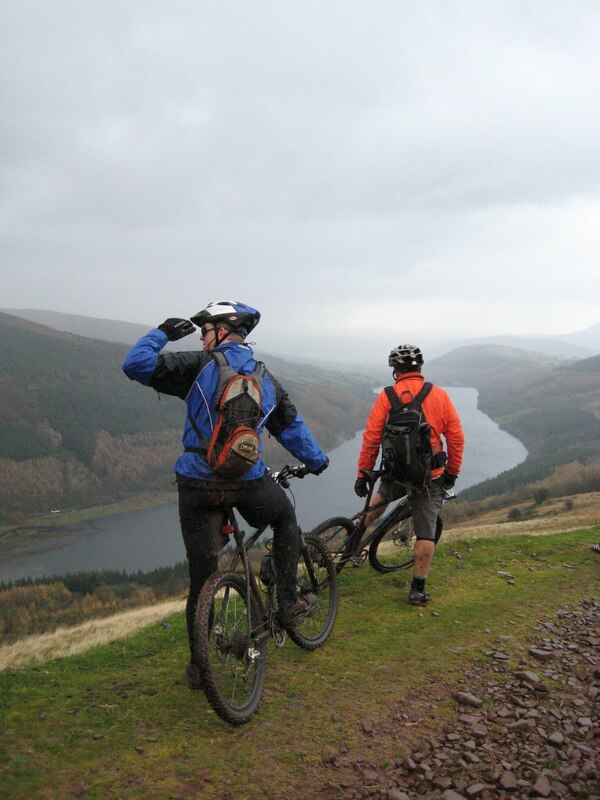 The Brecon Beacons are made for mountain biking and cycling, with routes suitable for all abilities. Talybont on Usk is a hub for local cycle and the Brecon Beacons National Parks mountain bike trails and has 4 routes running through the village. You can hire mountain bikes from Bikes and Hikes who are situated next to Talybont Stores in the centre of the village. The Talybont Bike Hub is now open at the Village Hall (postcode LD3 7YQ) so you can park off road, use the new public toilets and at the end of your ride, not only wash your bike down at the bike wash but also yourself in one of the two showers. This facility if run by a small group of volunteers and all the money from the bike washes and showers are put to good use in keeping the facility clean, open and improving the Village Hub for both visitors and locals. And there are some awesome rides ride from the door! As well as a challenging 34 km trail, the Pontsticill Crossover, and an intermediate level ride through Talybont Forest, there’s also a shorter, more gentle Tramway route which is very popular with families. 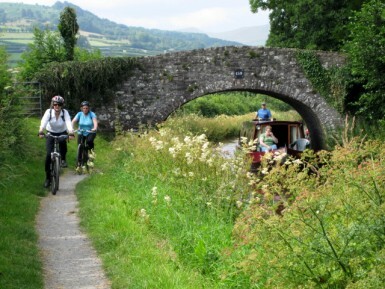 At the other end of the scale enjoy a leisurely pedal with the family along the scenic canal path all the way from Talybont to Brecon with village pubs to stop at en route. Bikes & Hikes, Bike Hire & Guides – your first port of call and based right here in Talybont just two minutes from the new bike hub and right next to the village shop and cafe. If busy they will happily recommend another provider close to the village. Keith has a wealth of knowledge both about bikes and the local area so pop in and pick his brains. Bike Park Wales, a bike park with trials from beginners to experienced. NOTE: Currently part of the Taff Trail is closed along the old Tramroad running alongside Talybont Reservoir up to Blaen y Glyn. It could be closed for 2 months so check before using this as part of your route.